"There’s some sort of issue." 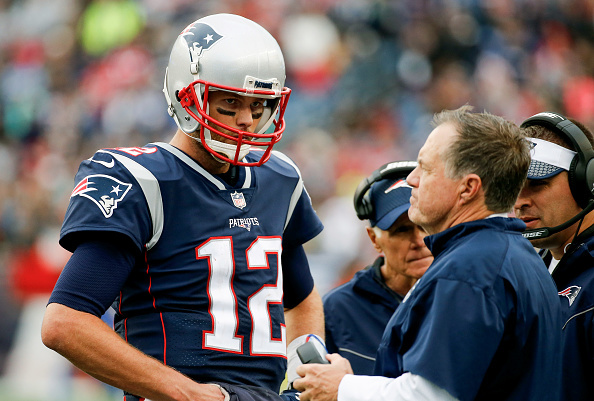 Bill Belichick and Tom Brady have experienced plenty of success together during their time in New England. The two almost seem impossible to imagine without the other by the side after so many years and Super Bowl championships. That may always be how it goes, but that does not mean there is a relationship without some potential friction between Belichick and Brady. Or, in this case, Belichick and Brady’s personal trainer, Alex Guerrero. Adam Schefter of ESPN, who is as plugged into the NFL as they come, said in a radio interview Friday morning there may be a bit of turmoil between the head coach of the Patriots and the trainer most responsible for keeping Brady in good shape. This potential feud has been popping up a few times this season. Just earlier this week it was reported by CBS Boston that Guerrero has not been traveling with the team on road trips as he had done in the past. When the Patriots traded Jimmy Garoppolo to the San Francisco 49ers, a story from ESPN The Magazine dropped hints of possible trouble behind the scenes boiling over between Belichick and Guerrero, with one friend of the coach suggesting the two were heading on a collision course. What does all of this mean? In the grand scheme of things, perhaps not much at all other than for some drama off the field that will be highly scrutinized and used to justify some wild speculation that Brady and the Patriots are heading to an unlikely divorce. Maybe one day, more information of the behind the scenes of the Patriots dynasty with Brady and Belichick will be revealed in some sort of tell-all book. That may shed some new light on this possible powder keg situation in New England. But if anyone thinks the Patriots are about to be taken down by a rage-fueled rivalry between Belichick and Brady’s personal trainer, they may be sorely disappointed.